Valerie has twenty years of experience at Collaborative Classroom, holding management positions in both the program development and publishing areas of the organization. She was the lead editor on the original Making Meaning project, worked with John Shefelbine and Kit Newman in the development of all three editions of SIPPS (Systematic Instruction in Phonological Awareness, Phonics, and Sight Words), and most recently led the conceptualization and development of Collaborative Classroom’s Being a Reader program. Prior to joining the team at Collaborative Classroom, Valerie was a developmental editor in elementary educational publishing at Prentice-Hall and in graduate-level textbooks at Allyn and Bacon (Pearson). She has also volunteered as a reading coach in public schools. 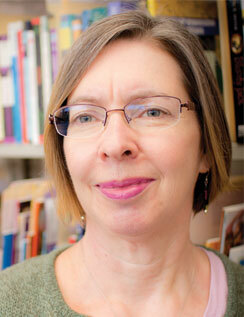 Valerie has a BA in modern languages and literatures from the University of Toronto.